This page aims to help you remove .DATASTOP Virus Ransomware for free. Our instructions also cover how any .DATASTOP file can be recovered. If you are currently struggling with an insidious malware virus that goes under the name of .DATASTOP or something similar, we advise you to read this article because it contains some essential information regarding this piece of malware and the category it belongs to. .DATASTOP is a harmful software program that can be categorized as a Ransomware cryptovirus. Ransomware is a highly dangerous and problematic malware category that is typically used for money extortion and blackmailing. There are several different forms of Ransomware that employ different techniques for extorting the requested ransom from the targeted user. The so-called cryptovirus sub-type is considered to be the most advanced and problematic form of Ransomware. The way cryptovirus programs function is they run a complex encryption process on the infected computer. 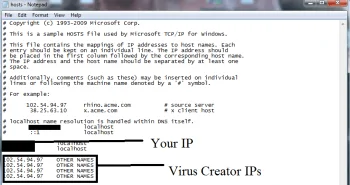 Through the encryption, the virus is able to lock-up the personal files of the PC’s user. Once the encryption is completed, the only reliable way of regaining access to the files is by having a special decryption code. Such a code gets generated once the process of locking-up the files is over but the only one who has access to it is the hacker who’s conducting the malware attack. After the targeted user data has been sealed by the cryptovirus, the user is blackmailed into paying a ransom in exchange for the key that can unlock the files and make them accessible once again. Naturally, if the money isn’t paid, the data is said to remain locked for good. This is basically how malware programs like .DATASTOP function – they deprive the targeted victim of access their personal data and then use this as leverage for the hacker’s blackmailing scheme. In most cases, the victim of a Ransomware attack is notified about the demanded ransom and how the money is supposed to be paid via a message that gets generated on the infected machine’s desktop. In case you have already experienced that, we are sorry to say that you aren’t left with many possible courses of action. You can, of course, pay the money and hope for the best but this is not something that we’d advise you to do because of the risk of losing your money without actually getting the encrypted data recovered. Many users have experienced such a unfortunate course of events where they have agreed to paid the requested sum and have meticulously carried out the transaction only to eventually realize that despite having send their money to the hackers no key was going to get send back to them. Because of this possibility, we always make sure to remind our readers that it’s better to give a try to any available alternatives and only go for the ransom option if there’s no other way and only in case the retrieval of the files is really worth the risk of losing your money for nothing. Down below, we can provide you with a possible alternative and though it doesn’t guarantee that your data would get restored, it costs nothing to give it a go and see how things turn out for you. 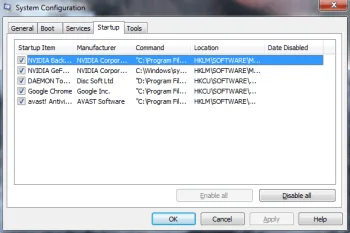 On this page, you can find detailed instructions on how to remove the insidious .DATASTOP virus from your PC and then how you might potentially be able to bring back your data without paying anything to the hackers. Again, we can make no promises with regards to the success of our removal guide but we still strongly advise to try this first and only then in case it doesn’t yield satisfying results go for something else. Ransomware infections are notoriously tricky and difficult to detect. Aside from potential increase in the RAM and CPU usage during the encryption process there are pretty much no other typical symptoms. Since neither your system nor your data would typically get harmed by such a virus, even a reliable antivirus program might not be able to spot the infection in time. 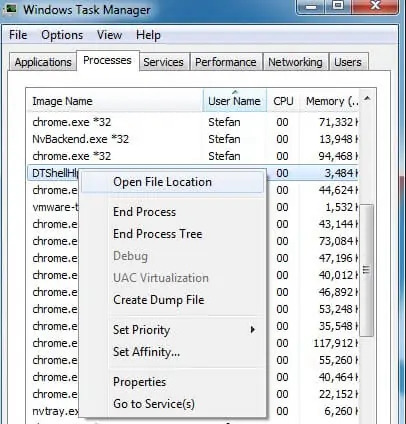 Despite all this, it’s still very important to be vigilant and on the lookout for any suspicious and unusual system behavior as well as have a strong security program on your machine to improve your chances of detecting malware programs like .DATASTOP. When it comes to protecting your PC in future, you must make sure that you never visit sites that are unreliable and that might hide hazardous contents within their pages. Also, only download legal and legally distributed software – any piece of pirated software could be used to distributed all sorts of nasty malware viruses. Aside from that, be careful with any new messages and e-mail letter that you might receive – if any of them look suspicious and contain sketchy file or hyperlink attachments be sure to avoid interacting with them or else you might land some dangerous piece of malware. One great way of ensuring that your files stay safe even if your machine gets compromised is getting any important data you might have backed up. You can use a cloud service or an external drive as a backup location – just make sure that you do not connect your PC to the backup if you suspect that it might have been infected by some virus or else you risk getting the backup compromised as well. Symptoms CPU and RAM spikes are possible symptoms though oftentimes difficult to notices. Distribution Method Shady sites with low reputation, illegal and pirated software, backdoor Trojan viruses, spam, etc.